Kindness is at the very heart of our wellbeing. With the support of JRF, over the past nine months we have been working with seven organisations to test what, if anything, could be done to encourage kinder communities, exploring ideas around the importance of places and opportunities to connect, and the intrinsic values underpinning our interactions and relationships. 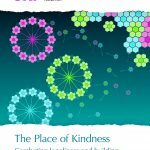 This report by Carnegie Associate Zoë Ferguson sets out what we have learnt, highlighting powerful examples of where kindness and everyday relationships can affect change and support the wellbeing of individuals and communities. You can hear about some of these in our film. But there are major factors that get in the way of engaging and encouraging kindness both in individuals and organisations, including real and imagined rules relating to risk; funders and policy makers valuing the formal and organisational over the informal and individual; and modern definitions of professionalism and good leadership crowding out everyday kindness and intuitive human interactions.